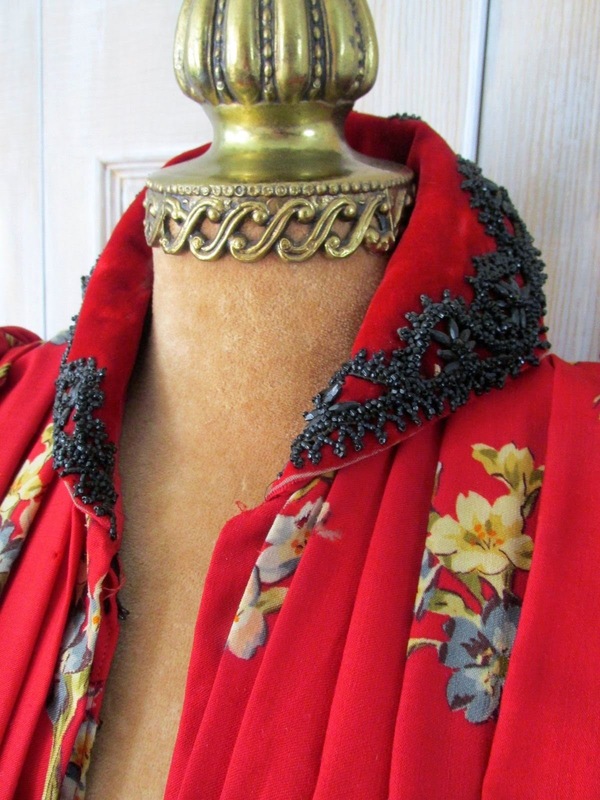 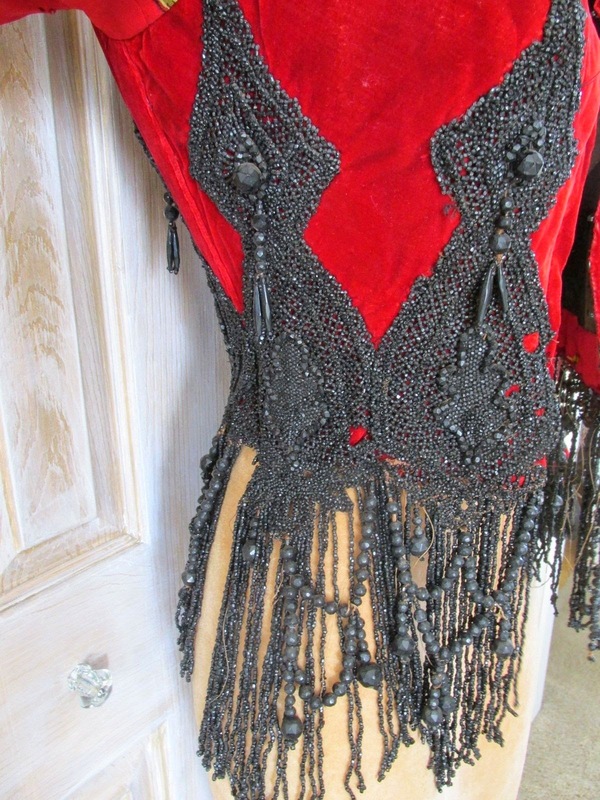 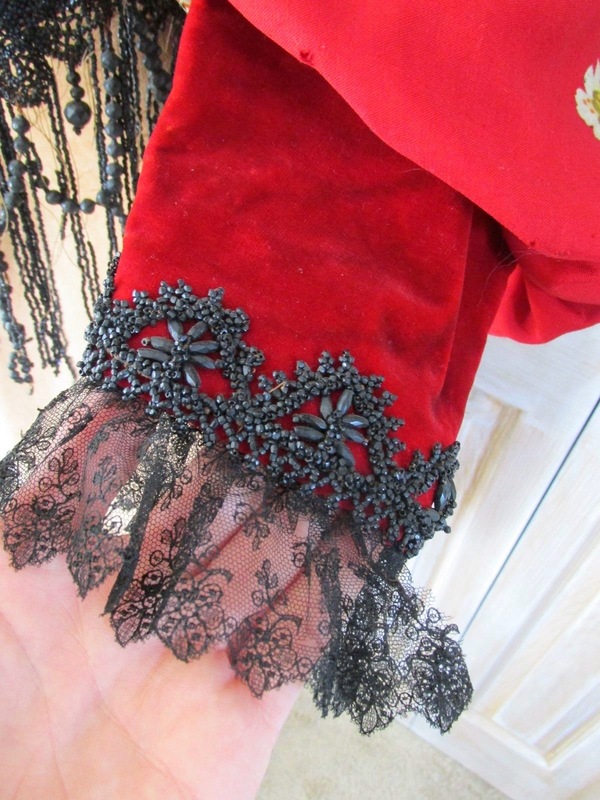 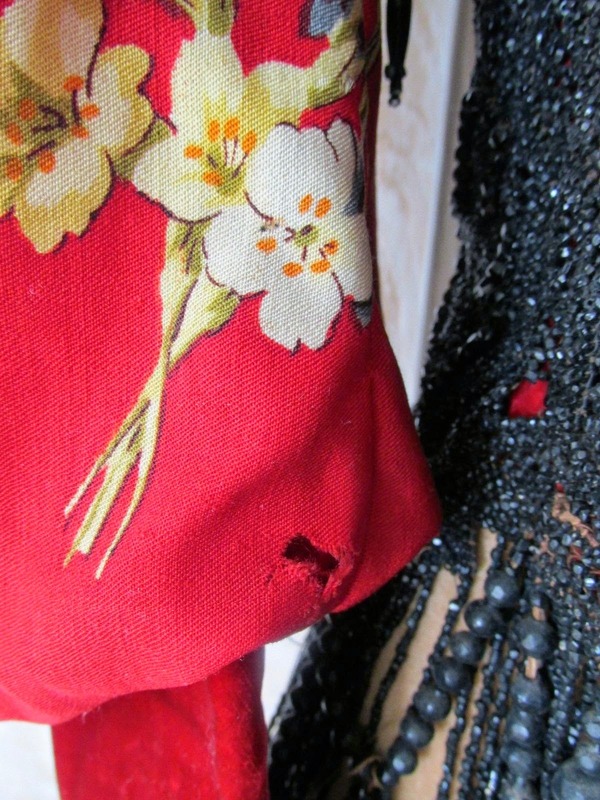 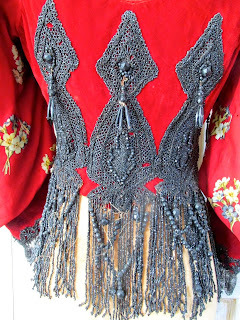 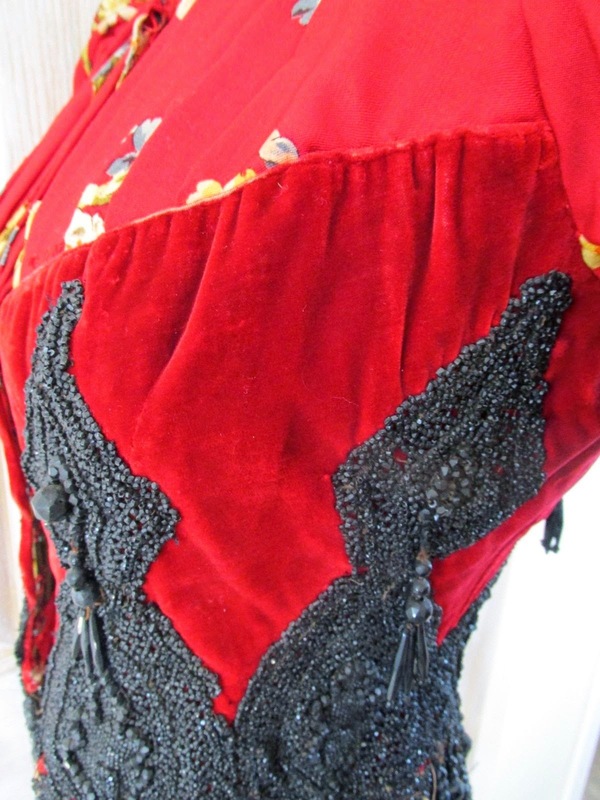 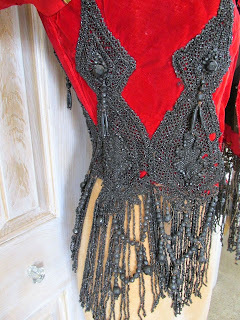 This outstanding antique Victorian c1890's bodice is an over the top confection in ruby red violet floral printed wool accented with matching ruby red silk velvet, large balloon sleeve with fitted velvet wrist, beaded cuff detail with chantilly lace frill, red velvet collar with matching black glass trim, velvet torso encrusted with glittering and matte black glass beading, tassels, drapes and diamond medallion accents, pleated wool back and upper chest, black silk interior lining with 15 fabric wrapped metal bones and alternating hooks and eyes for a secure closure from throat to waist. 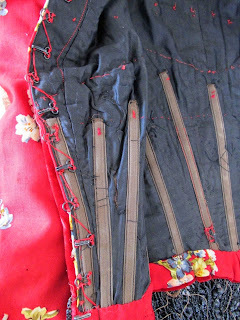 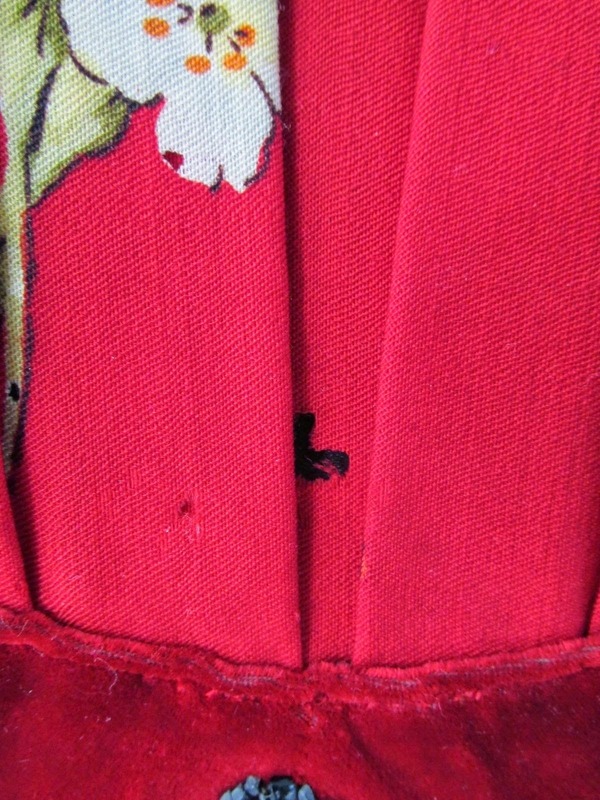 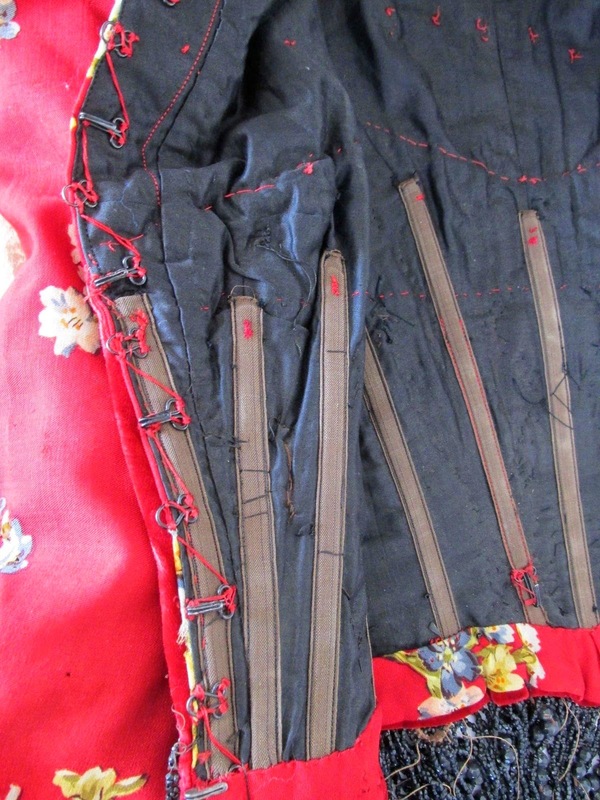 The wool fabric has nips throughout as shown, some wear to the edges of the velvet, scattered bead loss, interior underarm "liners" are crunchy with no staining to the bodice material, there are hooks sewn to the interior waist of the bodice to hold up a skirt, the chantilly lace at the cuffs have wear and separations and this bodice remains an incredible example of opulent c1890's evening wear...measuring approximately from the OUTSIDE of the garment. Shoulder: 11" seam to seam not including the gathered fabric at shoulder top Bust: 34" Waist: 26" Sleeve: 23 1/4" Length from collar to fringe: 25"
A nice example of the early 1890's! 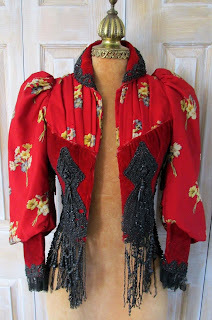 And this was the other thing from your last posting--do you suppose this person was a "woman of the shady reputations"? 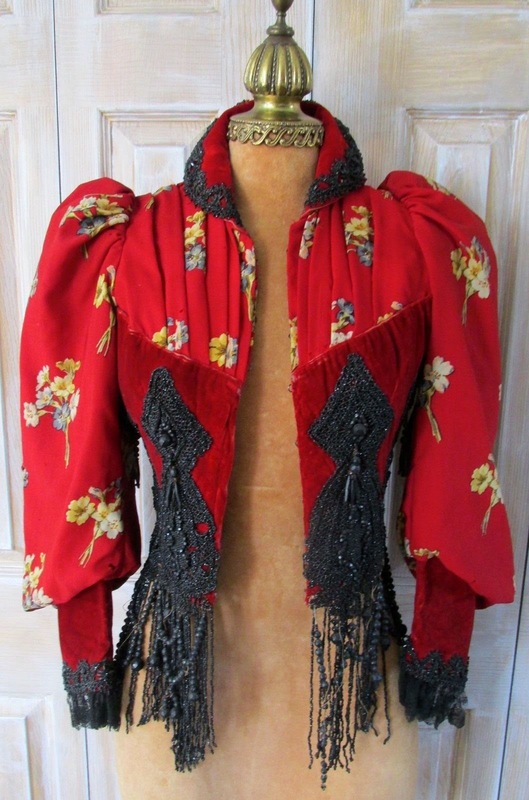 Though I could be wrong as it looks incredibly well made.